Centre politique du grand-duché de Lituanie du XIIIe siècle jusqu'à la fin du XVIIIe siècle, Vilnius a exercé une profonde influence sur le développement culturel et architectural d'une grande partie de l'Europe orientale. Malgré invasions et destructions, elle a conservé un ensemble imposant de bâtiments historiques de styles gothique, Renaissance, baroque et classique, ainsi que sa structure urbaine avec ses espaces historiques et son environnement de verdure. Будучи политическим центром Великого княжества Литовского в период с XIV до конца ХVIII вв., Вильнюс оказывал глубокое влияние на развитие культуры и архитектуры во многих странах Восточной Европы. Несмотря на вражеские вторжения и частичные разрушения, здесь уцелел впечатляющий комплекс зданий, построенных в стиле готики, Возрождения, барокко и классицизма. Сохранилась средневековая планировка, а также природная среда. Capital del Gran Ducado de Lituania desde el siglo XIII hasta finales del XVIII, Vilna tuvo una gran influencia en el desarrollo cultural y arquitectónico de una gran parte de Europa Oriental. Pese a las invasiones y destrucciones de que fue víctima, la ciudad ha conservado un impresionante conjunto de edificios góticos, renacentistas, barrocos y neoclásicos, así como su trazado medieval y el paisaje natural circundante. Van de 13e tot het einde van de 18e eeuw was de historische stad Vilnius het politieke centrum van het Groothertogdom Litouwen. De stad had een grote invloed op de culturele en architectonische ontwikkeling van een groot deel van Oost-Europa. Ondanks invasies en gedeeltelijke vernietiging is een indrukwekkend complex van gotische, renaissance, barok en klassieke gebouwen bewaard gebleven. Hetzelfde geldt voor haar middeleeuwse uitstraling en natuurlijke omgeving. De snel groeiende stad werd in 1471 getroffen door een rampzalige brand. Hierdoor werden de eerste religieuze instellingen – de kathedraal, de parochiekerk van Sint Johannes en de Franciscaanse en cisterciënzer kloosters – vernietigd. The Vilnius Historic Centre began its history on the glacial hills that had been intermittently occupied from the Neolithic period; a wooden castle was built around 1000 AD to fortify Gedimino Hill, at the confluence of the Neris and Vilnia rivers. The settlement did not develop as a town until the 13th century, during the struggles of the Baltic peoples against their German invaders. By 1323, when the first written reference to Vilnia occured, it was the capital of the Grand Duchy of Lithuania. At this time, some brick structures had apparently been erected on a small island formed when the Vilnia changed its course. By the 15th century, the Grand Duchy of Lithuania, with its capital Vilnius, had become the largest country in Europe, stretching from the Baltic Sea in the North to the Black Sea in the South. The historic centre comprises the areas of the three castles (Upper, Lower and Curved) and the area that was encircled by a wall in the Middle Ages. The plan is basically circular, radiating out from the original castle site. The street pattern is typically medieval, with small streets dividing it into irregular blocks, but with large squares inserted in later periods. The historic buildings are in Gothic, Renaissance, Baroque and Classical styles and have a distinct appearance, spatial composition, and elements of internal and external finishes. They constitute a townscape of great diversity and yet at the same time demonstrating an overarching harmony. The townscape is characterised by the general pattern of the town plan, the network of streets, squares and the boundaries of the plots. The elements of the urban pattern in relation to its natural setting also determine the specific silhouettes, panoramas and vistas that are preserved today. Together with the Lithuanians, other nations of Grand Duchy of Lithuania with their languages, religions and cultures, shaped the development of Vilnius as an outstanding, multicultural city, in which the influences of the West and the East were merged. Christianity, dominating since the Middle Ages, and the growing importance of Judaism led to exemplary material manifestations of these religious communities which include the churches of St Michael, St Stephen, St Casimir, All Saints, and St Theresa. The successive reconstructions, resulting from different disasters, gave the town many buildings of special character, including the cathedral, town hall, arsenal, and the Tyzenhauzai, Rensai, Pacai and Masalskiai palaces. Many of the surviving earlier buildings were rebuilt or refurbished in the School of Vilnius Baroque style, which later left an imprint in the large area of the Grand Duchy of Lithuania. The identity of Vilnius has always been open to influences enhancing the social, economic and cultural activities of the thriving communities. These influences materialised in the works of Gothic, Renaissance and Baroque, placed furthest eastward in Europe. Criterion (ii): Vilnius is an outstanding example of a medieval foundation which exercised a profound influence on architectural and cultural developments in a wide area of Eastern Europe over several centuries. Criterion (iv): In the townscape and the rich diversity of buildings that it preserves, Vilnius is an exceptional illustration of a Central European town which evolved organically over a period of five centuries. The inscribed property has an extension of 352 ha and contains all the attributes that convey its Outstanding Universal Value. The Vilnius Historic Centre has maintained a radial street pattern that dates back to the Middle Ages. Its spatial structure reflects both the evolution from changes in style and the political and natural calamities that have struck the area. The property maintains exceptional attributes such as the 16th-century University ensemble, a Town Hall with its square, temples of all religious denominations and the complete street pattern without any significant gap. Only a few places show the damage occurred during occupations and wars, including the Cathedral square that covers the foundations of the Lower Castle, demolished after the 3rd partition of the Commonwealth of the Two Nations in 1795, the empty place of the Great Synagogue, demolished after World War II, and the nearby attempted fragment of a broad avenue on the side of Vokiečių street (Deutsche Gasse), and some squares or modern buildings that replaced elements demolished at the same period. Those features gone and changed remain in the sources of history, diligent archaeological and historical research reports, the fine and applied arts, living traditions of music, theatre and hospitality. Some spaces, uses and activities have naturally changed with developing social and economic needs, yet the formulated significance of the property remains readily recognisable. Vilnius has retained its political role and economic and cultural importance in the country and the region, and its current shape represents its complex history excellently. The current shape of the city retains its authentic qualities in the material attributes and continuous processes, traditions of the arts and life witnessing the often stormy history of the city and country and their political, economic and cultural evolution throughout the centuries. The spatial pattern of the city within its setting and a vast majority of the buildings filling the pattern remain authentic in their shape, materials, and building technique. Many of the buildings retain material layers from several periods, as with the introduction of new styles, the buildings have been rebuilt, incorporating the old buildings into the new ones. Buildings that suffered from the consequences of wars and fires, notably from World War II, were reconstructed using technical solutions typical for that time, whilst the traditional methods of restoration were used only for monuments and outstanding details. On the whole, the authentic attributes remain in the pattern of plots, structure and internal spatial arrangements of the buildings, distinctive elements of internal decorations and equipment, surfaces of the external walls and various decorations of the facades, doors, windows and roofs, pavements of the streets and squares, and details of the engineering and transport infrastructure, along with the surviving intangible heritage expressed through arts and traditions. The protection of the Vilnius Historic Centre is ensured by the specific provisions stipulated by the Laws on National Security, on Protection of Immovable Cultural Heritage, on State Commission of Cultural Heritage, on Territorial Planning on Protected areas, and other legal acts. The attributes of the property are protected by the Vilnius Strategic Plan, the Vilnius Official Plan, the Regulation on the Protection of the Old Town and the actions taken by the annual Old Town revitalisation programme. The Minister of Culture of the Republic of Lithuania is responsible for safeguarding the Old Town. Notwithstanding this important regulatory framework, precise regulations concerning the construction of high-rise buildings, beyond the proposed buffer zone, need to be developed and strongly enforced to ensure the conservation of the visual integrity of the property and its setting. These need to complement the provisions made in the Vilnius Official Plan to ensure the retention of visual relationship among protected areas, valuable views, panoramas and silhouettes. This should be complemented with a strategy for heritage impact assessments to make certain that large constructions, regardless of their location, do not impact the Outstanding Universal Value, Authenticity or Integrity of the property. The safeguarding of the property is based on 4 principles: (i) territorial unity of management; (ii) lateral interaction of inter-institutional multidisciplinary teams with regards to management, therefore involving, besides the heritage protection, other sectors such as territorial planning as well as social, economic and other issues; (iii) vertical integration and coordination of responsibilities and decision-making on state and local governance levels; (iv) interaction of the institutions of the state, local government and civil society through an inter-institutional commission and civil society audit. The multinational community of the city that developed in history is more homogeneous today; hence the manifestations of a multicultural city must be especially treasured, safeguarded and exposed. Exceptional attention needs to be given to the remaining authentic elements, to the preservation of historic techniques and their interpretation to be complemented with references to the forgone socioeconomic and cultural processes and other intangible heritage. 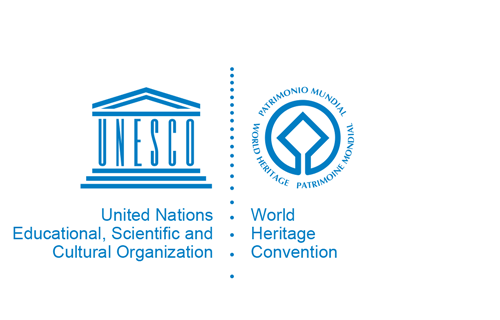 These principles are to be implemented through the Coordination and Management Commission, which is also responsible for developing a clear set of conservation objectives and procedures, in order to ensure that effective decision-making mechanisms are in place to emphasize the protection of the Outstanding Universal Value of the property.